The About Thetford magazine is an independent community magazine covering the town of Thetford and it’s surrounding villages. 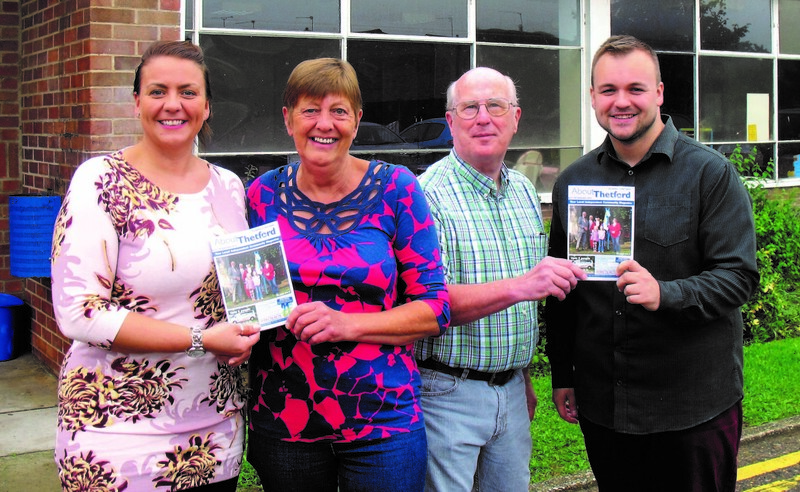 12,500 copies are printed and distributed every month which ensures every household in Thetford, Croxton and Barnham is covered. Copies are also delivered to every commercial property throughout Thetford Town Centre, local shopping precincts and both industrial estates in the town. In addition, a rural distribution network has been established with additional copies left at 15 locations in villages surrounding Thetford included Ixworth, East Harling, Garboldisham, Weeting, Brandon, Mundford and Elveden. The magazine is also available for viewing online, a service which is enjoyed by several hundred people every month from as far away as Australia and the United States of America. The online version of the magazine is particularly promoted via our social media presence on both Twitter and Facebook, where we have 1,000 followers / friends collectively. Each month the magazine covers a mix of local news including updates from groups operating in the area such as the Rotary Club, Lions, Lionesses, Inner Wheel, Cadets and much more, There’s also details of events and activities taking place, job vacancies and a what’s on feature. Thetford Town Council regularly advertise and there’s space allocated for the Ancient House Museum of Thetford Life, Thetford Library and Thetford’s Great Information Centre.